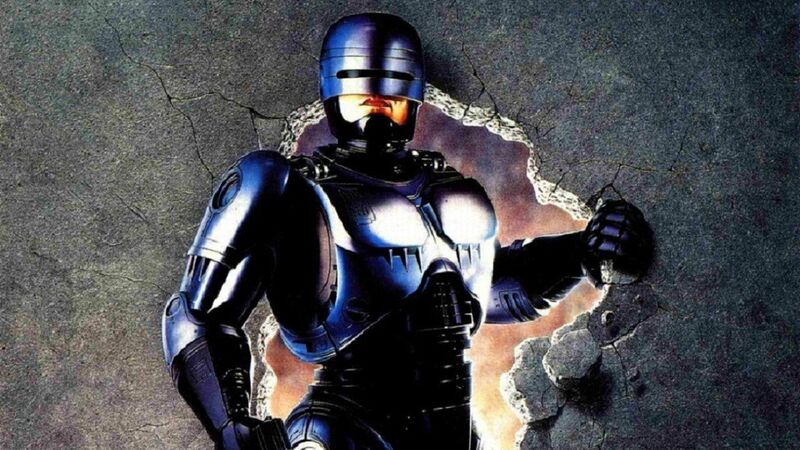 Here's where to watch every episode of RoboCop: The Series season 1. Mouseover or tap an episode to see where to stream it. Click or tap the play icon to stream it on the best available service. The Future Of Law Enforcement Mar 18, 1994 This time the future RoboCop is defending Delta City from a scarred maniac. A killer calling himself the Dogtown Ripper is killing thousands of people and stealing their brains. A trouble making pre-teen becomes the foster daughter of Stanely Parks. A secretary is killed but her spirit lives inside the computer mainframe. Prime Suspect Mar 25, 1994 A TV tabloid host calls RoboCop the tool of Satan. RoboCop finds himself a fugitive when the arrogant host is murdered. Trouble in Delta City Apr 1, 1994 Maddican and several other people in Delta City get hooked on some special diet pill which in turn has some deadly side-effects. Officer Missing Mar 8, 1994 Robocop and the chairmen of OCP are trapped by a roving street gang right after energy cost cutting blacks out the city. What Money Can't Buy Apr 15, 1994 The boy from the last episode is transported to a hospital. A lung donor is prepared for him, but a terrorist and his girlfriend steal the lungs. Ghosts of War Apr 22, 1994 A gang of war venterans gains control of Neurobrain protesting their exposure to deadly toxins. Zone Five Apr 22, 1994 Old Detroit becomes flooded with FUN, a narcotic that ""removes all sense of guilt"", while Murphy's son is recruited by the street gang responsible for the drug. Provision 22 May 6, 1994 Murphy is torn between upholding the law and helping his family after his wife is arrested for leading a protest against OCP's privatized welfare system. Faces of Eve May 13, 1994 Pudface intends to terminate RoboCop by using a new OCP product which transforms the user into any desired form. When Justice Fails May 20, 1994 A new space shuttle with an international crew is set to launch, but the fuel it carries onboard is experimental. Robocop must fight his way through the world of corporate scandals and cover-ups in order to prevent a major disaster from occuring. The Human Factor May 27, 1994 A bomber is on the loose in Detroit, and even though OCP deploys a new bomb squad to deal with the situation, former police officer Russel Murphy, father of Alex Murphy, cannot stand by and watch. Robocop and Murphy (who is skeptical about working with a machine) team up to try and stop madman Felix Weber before Michigan finds itself in the state of Nuclear Winter. Inside Crime Jul 1, 1994 Pudface Morgan draws big ratings when OCP launches a television show that follows the exploits of criminals. RoboCop vs. Commander Cash Jul 8, 1994 Children have been robbing stores because their favourite cartoon hero, OCP's corporate mascot Commander Cash, has told them to. While searching for an answer as to why these children are acting so violently, Robocop finds himself battling Commander Cash himself. Illusions Jul 15, 1994 Robocop uncovers a plot by a gunrunner to assassinate OCP's chairman, while Madigan falls for a magician who may be involved in the plan. Sisters in Crime Jul 29, 1994 A group of violent feminists kidnap the Chairman of OCP and force him to live the life of a housemaid while keeping him locked up. Heartbreakers Sep 9, 1994 After learning that Robocop was once officer Alex Murphy, a madman tries to commit crimes by holding his wife hostage. Mother's Day Sep 16, 1994 Robocop suspects Gadget's natural mother is involved in a plot with Russian crime boss Vlad Molotov and his sidekick Nadia. Nanno Sep 23, 1994 A former government official forces a scientist to create microscopic robots to commit crimes. Meanwhile, Madigan is crippled in a bus crash. Corporate Raiders Nov 12, 1994 Robocop and Madigan battle a corrupt union leader and his secretary as they pursue an ex-terrorist. Midnight Minus One Nov 19, 1994 Robocop and Madigan race the clock to save an innocent man from being executed as a convicted killer. Public Enemies Nov 26, 1994 Robocop attempts to thwart an assassination plot by Dr. Mallardo, Chip Chayken and Pudface Morgan.